Marvel Comics is announcing the revamping of a staple of the Marvel stable. 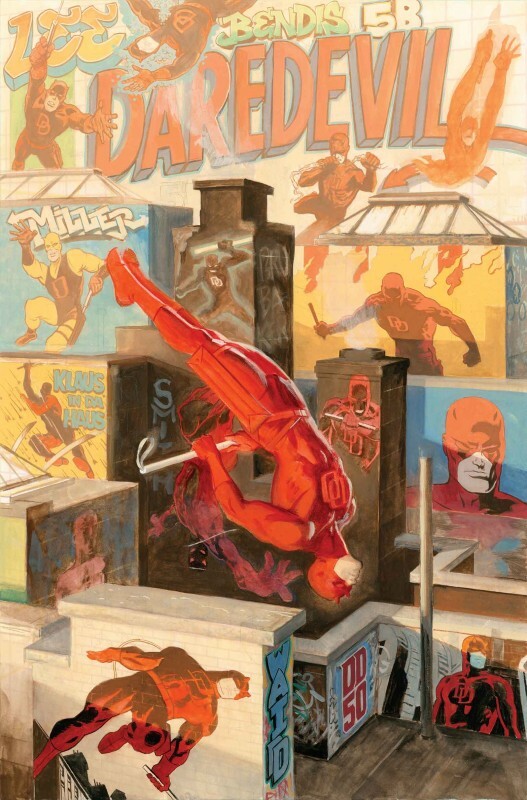 With an April celebratory release of an anniversary issue celebrating 50 years of Daredevil, the team of Mark Waid and acclaimed penciller Javier Rodriguez plan on moving the man without fear into the future. Mark Waid tells readers to pay close attention to the details in the story, which revolves around Matt Murdock’s 50th birthday. The devil is in the details, apparently, as they offer clues about Horn-head’s future and what we can look forward to in 2014. Moreover, DAREDEVIL #1.50 also includes back-up stories by a surprise list of some of Daredevil’s prolific past creators. So yeah, I’m curious. What am I hoping for? Personally, I’m hoping for the same dark and gritty realism that befit the guardian of Hell’s Kitchen that we saw in the re-launched series with Paolo Rivera in 2011. Waid has the vision and the award-winning Daredevil experience, not to mention the Eisner Awards, to back him up. Plus, let’s not forget his opening work in The Amazing Spider-Man #612 (January 2010) “The Gauntlet” – one of my favourite Spider-Man stories of all time. At any rate, it looks great. I’m actually excited about this release. I can’t wait to see what they’re going to end up doing with one of Marvel’s greatest characters.